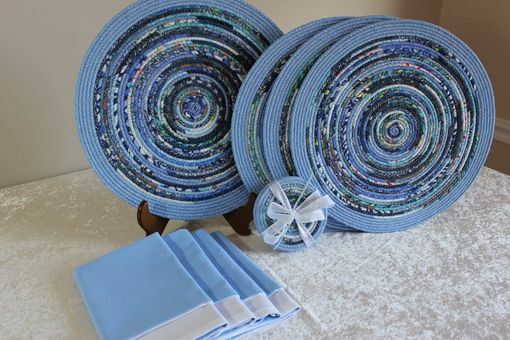 This placemat set is designed by handwrapping cotton clothesline in strips of colorful fabric. 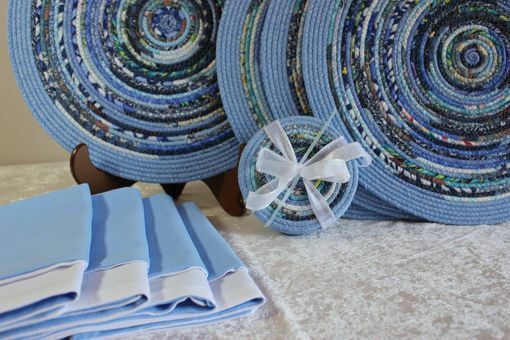 It is then machine sewn together with a zig zag stitch to form the placemats. 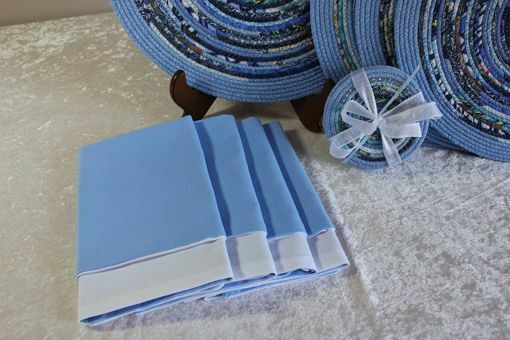 This set includes 4 placemats, 4 matching coasters, and 4 matching napkins. Dimensions: placemats approx. 14.5 inches in diam., coasters approx. 4.5 inches in diam, napkins approximately 17 inches in diam. SAMPLE FABRIC: If you'd like to see swatches of the fabrics used in this set to ensure accurate color matching to your decor - I'm happt to drop samples in the mail to you. Just send me a message! 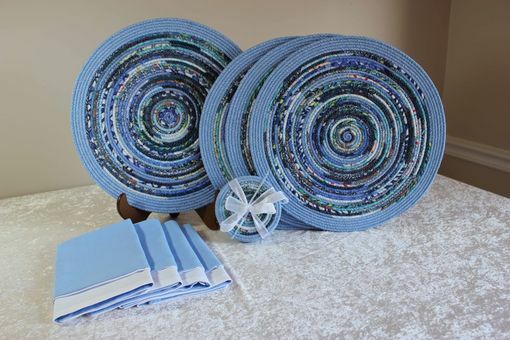 CUSTOM ORDERS: Several customers have placed orders for placemat sets with colors to match their decor. I can certainly design something for you if you're looking for specific colors. 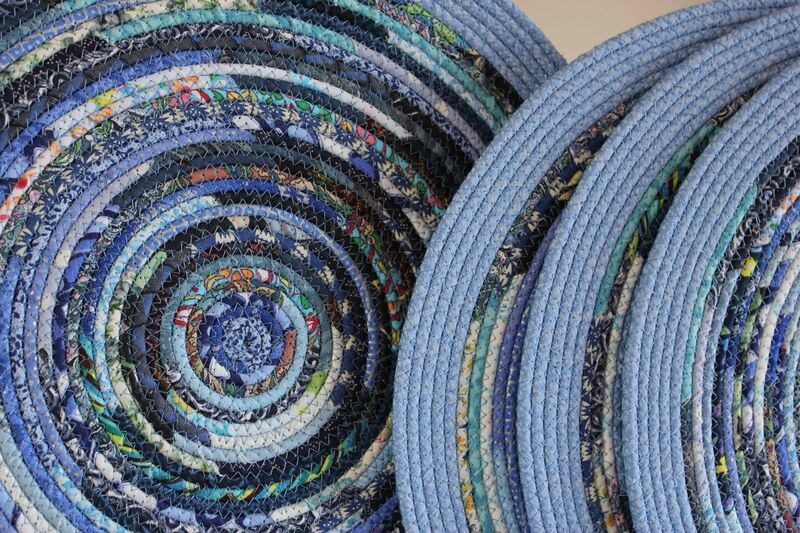 ADD ONS: Embellishment options for placemats are numerous. If you're looking for a beachy theme I can enhance with sea shells. If your looking for other mediums to be added for additional decoration such as ribbon, lace, beading, stones, etc..... I can work with you to design something that fits your decor. Thank you for reviewing this project!!! !